Josh, a.k.a ‘Fluffy J’, started Awaroa Sea Kayaks in January 2017. 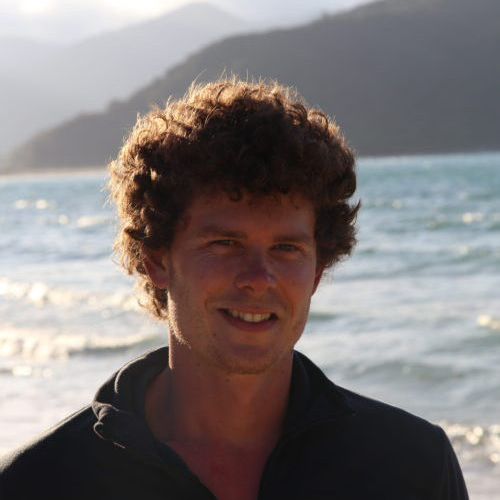 After completing an outdoor recreation course on the West Coast of New Zealand in 2010, Josh spent his next five years studying geology and has recently worked as an environmental scientist based in Christchurch. Josh is a passionate sea kayaker and enjoys teaching people how to get out on the water safely. He has a broad knowledge of the natural and cultural history of New Zealand, and loves to share this with his customers. Josh has travelled to most parts of New Zealand and will happily offer you advice for the rest of your time in New Zealand. When he’s not out on the water or taking care of business, you might find Josh playing guitar in the restaurant at the Awaroa Lodge or casting a fishing line off the Awaroa Beach. We operate in close conjunction with the Awaroa Lodge. After guiding from the Lodge in 2016, Josh Smaill realised there was an opportunity to start an independent business based from Awaroa, specialising in guided sea kayak trips in the Awaroa Bay region. Awaroa Sea Kayaks was born from a passion for the area, and a desire to show it off to the world. Our main goal is to show off Awaroa Beach and the surrounding coastline. This truly is one of the best areas to sea kayak in New Zealand and we want to share the experience with the world. We also aim to promote environmental awareness through sharing knowledge and implementing sustainable business practices.